I found this wonderful sunflower while grocery shopping and brought it home to photograph and explore close up photos opportunities. The very next morning I placed it on our table outside on the porch. The morning sun just peeked between the surrounding trees, streaking the porch and sunflower with light. I arranged the flower pot in a way to optimize lightning. I then grabbed my camera and fully opened the aperture to minimize depth of field. 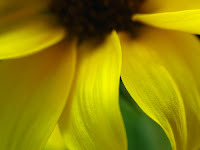 The point of focus was laid on the tip of the sunflower petals. I then locked the focus point and exposure settings by pressing down the release button of the camera half way. For this particular photograph I did not use a tripod because there was no space to set it up without loosing the light. Instead I composed my image by moving my camera around and when arrived at the final composition. I then positioned the camera against the window frame to steady it. I shot a series of images but like this one the best because of its vivid colors, the limited depth of field and the abstract forms. Last Monday I decided to take advantage of the golden late afternoon light and went out on a photo tour to Rockport, MA on Cape Ann. 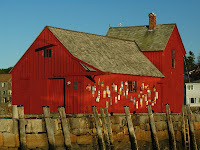 Rockport makes for pristine Massachusetts photos destination and is small harbor village north of Boston that is still home to a few lobster fishermen. 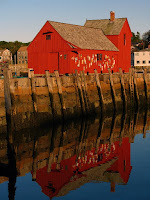 One can explore the harbor and wharfs or enjoy the many shops, galleries and restaurants on Bearskin Neck and Tuna Wharf. 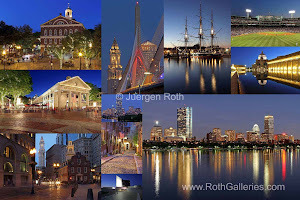 My goal was to photograph motif #1, so called because it is the most often-painted building in America. 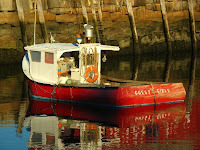 When arriving I slowly made my way out on the T Wharf where I captured my first images of motif #1. Small dinghies and their reflections caught my eye along the way. 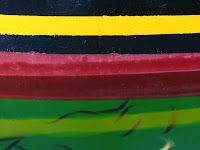 The Ocean Reporter, a 45-foot dragger boat was docked there as well, and I captured the detail of the boats' waterline with many fish swirling around. Meanwhile the sun was setting a little further and the light was improving. I walked back to Main Street where there is a great open view of the harbor. 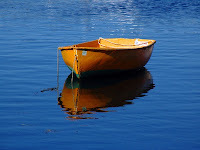 The beautiful orange dinghy was anchored here; colors complementary with the reflecting saturated blue of the sky in the ocean water. 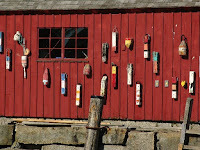 Back on Main Street, walking around the harbor towards Bradley Wharf I started paying more attention to motif #1, the famous fishing shack. The view from Bradley Wharf is priceless. The tricky part was to cut out the sailing boat masts in the photograph. I was not going to follow the advise one fellow photographer was suggesting while she overheard my conversation with a local painter and gallery owner: Photoshop it! Instead I accomplished the removal of the masts by fully spreading out my tripod legs so that I could locate my camera very close to the ground. 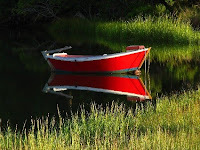 The only thing left was to wait for the light before I captured the below three images: motif #1, the red fishing boat and the reflection of motif #1; nearly from the same position. 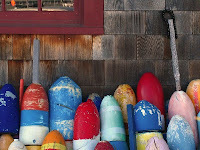 The buoys, lobster cages and fishing nets provide beautiful compositions too and are not to be missed. 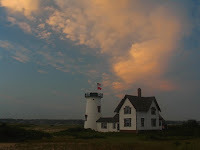 Once the sun disappeared behind the harbor houses leaving the harbor in complete shade I moved on and drove back towards Boston along the sea shore. I was planning on checking out the Twin Lights but missed my turn and just continued. At Brace Cove in Gloucester I pulled over to take my last photograph of the day. Despite the many bugs bothering and biting me I set up my tripod, exposed long enough to allow for panning my camera across the Brace Cove, capturing this abstract seascape photograph of this most beautiful sunset. 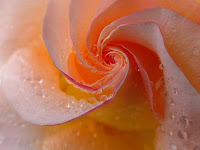 The spiral rose photograph was taken last year in the Minot Rose garden in response to a call for artists by the Brookline Arts Center in conjunction with the Friends of the Minot Rose Garden. The Friends of the Minot Rose garden do such fantastic work maintaining the garden; they cannot be thanked enough! I am often asked if I used a spray device for this photograph to create the rain drops and I always have to say no. If you look closely you will notice that the rain drops are different in size and not evenly distributed. I believe that this effect is difficult to mimic with a water sprayer. Instead I actually planned this photo shoot out because I knew exactly what I was hunting for and what I was going to submit to the jury. I waited for a night of rain to arrive before I went out to the rose garden that morning. 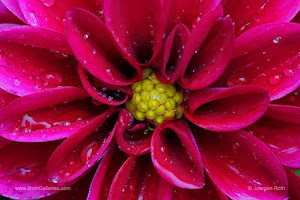 I was very delighted when I arrived because everything fell into place for a perfect morning of flower photography. The overcast sky was still present and the roses were still covered in rain drops. Red, yellow, pink, purple, orange; Roses of all colors were just waiting to be photographed. I immediately started shooting, moving from from one motif to the next, and making my way around the garden a few times. Two or three hours later I figured that my job was done for the day; I was ready to go home. For some strange reason I decided to make a final round and that is when I discovered the spiral rose in one of the corners. I do not know how I could have missed it earlier. I set up my tripod for a final shot. Zoomed in on the rose, adjusted the camera setting for maximum depth of field and took a series of close-up photos suitable as decoration photos for any home, office, or wall. Spring colors was created in 2005. 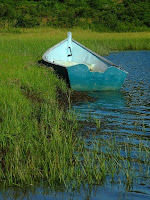 I was a little burned out after a long winter when I decided to capture the beauty of Hall's Pond throughout the year. For this project I went to the wildlife sanctuary at least once a week for a complete year to document the changes in my photographs. Wildlife sanctuary Hall's Pond is such an amazing place and provides a diverse flora and fauna in the middle of the city. On this particular early Spring morning I made it out of bed and went to visit the pond; Great Blue Heron was in his usual spot, so was a Black Crowned Night Heron. A Comoran was on the hunt for his breakfast and red winged blackbirds were singing along. I walked along the boardwalk enjoying the place all to myself. Morning light was braking through and started bringing out the colorful bushes and scrubs on the other side of the pond. As often the most difficult parts were to be patient and wait until the light was right and to find an open view across the pond. I tried from the boardwalk but had no luck. I then left the boardwalk and made my way a few yards along a tiny path to the edge of pond. I extended my tripod to eye level and equipped it with my 35 mm camera. 300 mm lens already installed, I zoomed fully in to 300 mm cropping out any disturbing backgrounds. The camera was set at smallest aperture setting to allow for great depth of field throughout the photograph. Camera angle and sunlight were at almost 90 degree for optimal polarization. I rotated the polarizing filter to the point of its greatest impact, bringing out the full glory of the colors and reducing any glare on the leafs. Using the automatic camera timer to minimize camera shaking I captured a handful of photographs and was very delighted once I got the final prints back from my local lab. Spring colors was one of the first images that I sold and until now it remains one of my most favorite images. 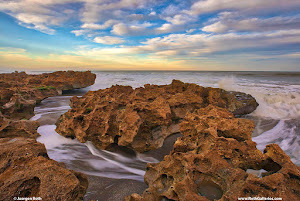 Polarizing Filter: I always strive for the optimal image to keep the software post processing to a minimum. There are certain unavoidable things that have to be optimized in the post processing steps before arriving at your final photographic image; sharpening for example is one of them. However, my post processing work flow usually allows me not to spend too much of my time in front of a computer working on my images. 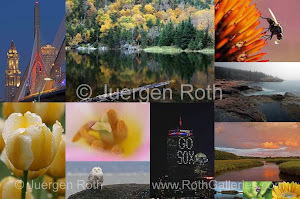 I prefer to spend the saved time in the outdoors taking photographs or just experiencing nature's beauty ... or lately on Fine Art America. In order to keep it this way I almost always have one or the other filter attached to my camera. If there is one filter that I can not spare it is the polarizing filter. It is always attached to my camera. This filter screws onto the front of your camera lens and when the filter is rotated it adjusts the amount of polarized light reflecting from the photographic subject. A circular polarizing filter boosts color and balances the contrast; it eliminates glare and reflections. Think of it as sunglasses for your camera. Overall, these filters increase color saturation, boost blue sky, add cloud contrast, control reflections and add neutral density to lengthen exposure times for blurred, impressionistic images. Last, when buying a polarizing filter ensure to get one for your largest lens diameter. Lenses with smaller diameters can be equipped with adapters allowing the larger filter to be mounted on the smaller sized lens. This will keep you on budget and lowers the weight of your photo gear in the field. picturesque harbor. After chatting with some locals and spending a good amount of time capturing some nice fishing gear and small boat reflections at the piers I continued on to Mitchell River on the other side of the road. 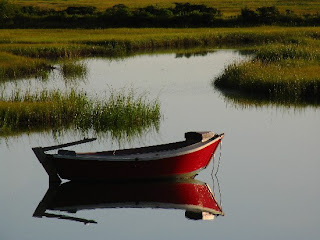 The morning light was still good and the little boat in the foreground caught my attention immediately because of its bright colors and attractive surroundings. However, arriving at the final composition did not come easy. 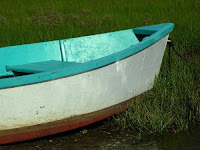 First I snapped a few close ups of the smaller boat but was not really thrilled with the immediate results. The very next moment I noticed the larger of the two boats in the background and started focusing on this one, composing a couple of photographs. I was much happier with the outcome of this second session. Finally, while moving backwards and away from the scene, I realized the full potential of the two boats together making a great photograph. 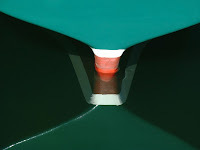 I got quite exited while positioning my tripod in front of the smaller boat. I arranged the image to cut out any distracting background and to only include the grass and the waters in the frame. I achieved this by setting up the camera with the tripod high enough to eliminate any background distractions. 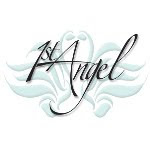 The camera was set to produce best depth of field and sharpness. 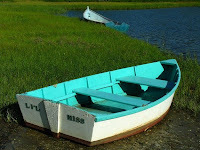 Finally I was able to push the shutter and capture the Cape Cod Dinghies.